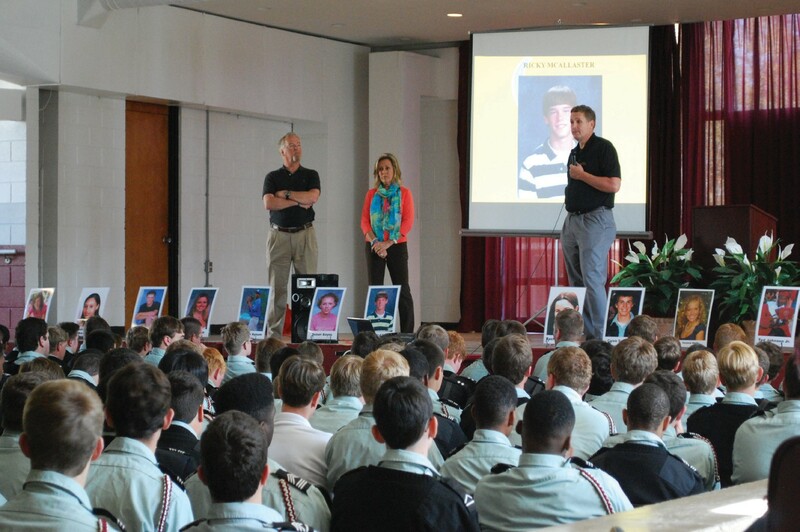 On April, 8th Benedictine Military School held a special forum on teen driving. Bill Richardson was the guest speaker talking about this very serious issue. This extremely significant especially as students get closer to prom and graduation. Richardson is the President of the Teen Victim Impact Program. The non-profit organization is devoted to educating young drivers as well as their parents on the serious nature of driving. Car crashes are the number one cause of teen deaths in this country every year. We lose 5000 to 6000 teens each year to car crashes. The Teen Victim Impact program strives to cover the majority of causes of teen car crashes not just DUI as DUI accounts for less than 25% of those crashes. Decisions and choices are really the only common denominator in the majority of these crashes. The organization represents more than 100 families that have lost sons and daughters in car crashes. These families share their loss for two reasons; They don’t want their son or daughter to be forgotten and they hope that by allowing us to share the decisions made by persons in their crash that perhaps another family won’t have to go through what they have had to endure. Teen Victim Impact Program is the parent organization and primarily develops diversion programs for courts to utilize to educate young drivers convicted of driving offenses. They currently have a program they do for the Chatham County Recorder’s Court as well as several programs in the Atlanta area.